Features:Set, covered lighted mirrors, adjustable arm bars, Cloth. This is so we can make a claim against the carrier if appropriate. You can rest assured that all the parts we carry will fit the vehicles that are listed. 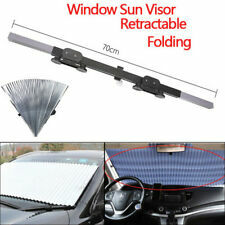 Front sun shade size: 160 70cm Gross weight: 0.4kg. 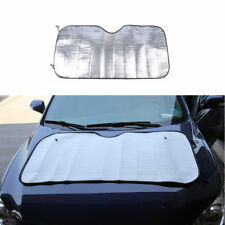 Rear sun shade size: 160 46cm Gross weight: 0.35kg. 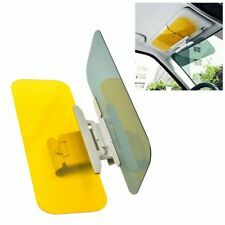 ----1x Windshield sun shade. Car steering Cover. Car Seat Cover. Car Interior. Other Car Interior. 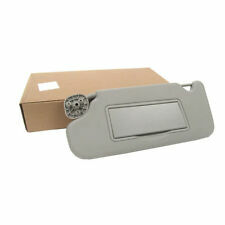 Left Driver Side Sun Visor Sun Shade Assembly, Mirror Included. Chevrolet Impala LS. Chevrolet Monte Carlo. 2006 - 2007. OEM parts are made of Thick High Quality Materials and will fit your vehicle perfectly. Chevrolet Monte Carlo. Chevrolet Impala. Color Grey / Titanium. LH Driver Side Front Gray Sunvisor/ Shade. w/ Mirror, w/ Lights. We have more than 15 years of OEM parts experience. Notes If you are unsure if this is correct for your vehicle. (the thing they clip into). This is off a 09 Impala with sunroof. LH Sun-Visor - GM (15297350). Chevrolet Equinox. Chevrolet Malibu. Chevrolet Impala. 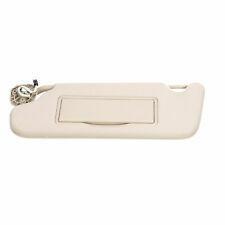 Gray Sun Visor Support Retainer Cover. Sun Visor Support Cover. Chevrolet Trax. Chevrolet Cruze. GMC Terrain. 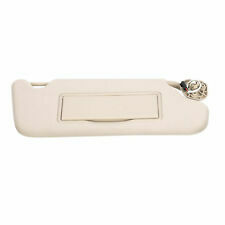 Features:Covered Lighted Mirror, Adjustable Arm, Cloth. This is so we can make a claim against the carrier if appropriate. You can rest assured that all the parts we carry will fit the vehicles that are listed. Chevrolet Monte Carlo. Chevrolet Impala. Color Grey / Titanium. LH Driver Side Front Grey Sunvisor / Shade. w/ Mirror, w/o Lights. We have more than 15 years of OEM parts experience. Notes If you are unsure if this is correct for your vehicle. 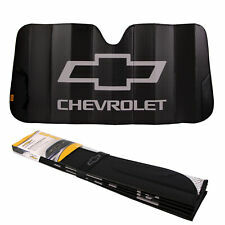 This item is a piece of foldable car windshield sun visor made of high grade material. It holds up a shade for your car in the strong sunlight. It provides anti-UV protection and slow down the interior aging caused by direct sunlight. Unlike other windshield cover products, TechShade™ is custom-designed and manufactured for a perfect fit for your specific vehicle - blocking or absorbing the greatest amount of heat possible. Chevrolet Impala. 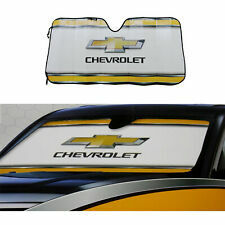 2006-2016 CHEVY IMPALA - MONTE CARLO SUNVISORS (#2). THIS SET WAS REMOVED FROM A 2013 CHEVY IMPALA. A. GRAY CLOTH.AND IN AMAZING CONDITION! THEY FEATURE EXTENDABLE ARMS, AND ARE LIGHTED (TESTED & WORKING). I will be glad to work with you to resolve the problem. 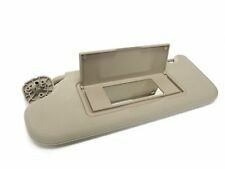 06-11 Chevrolet Impala Sun Visor Sunvisor Left Right Pair SET OEM Tan nice. 06 07 08 09 10 11 12 13 2006 2007 2008 2009 2010 2011 2012 2013. Erie, PA 16503. A-1 Automotive. Sun visors seem in good shape. The swivel is still tight. Features:Driver's side, covered lighted mirror, adjustable arm bar, Cloth. But, occasionally problems arise. Below are guidelines for dealing with issues that occasionally occur. You can rest assured that all the parts we carry will fit the vehicles that are listed. Chevrolet Impala. WeatherTech DigitalFit FloorLiner. The WeatherTech® DigitalFit® FloorLiner™ is known worldwide as the premier automotive accessory for keeping your vehicle's interior protected. Will fit 2014-2016 Impala Limited (fleet vehicles). Features:Set, covered lighted mirrors, adjustable arm bars, Cloth. Functionality:All functions work as intended and quite usable. All tabs and screw stems are in working order. But, occasionally problems arise. Include 1: 1 SunShade. CHEVY Black Elite Series. Reflects the sun's rays to prevent your dashboard from cracking or prematurely drying out. Protect and cools your car's interior blocks 99% of damaging UV rays. 1961 Chevy Impala (4 Door Hardtop). This OEM front bumper center bar is in good driver quality condition. What you see in the pictures is what you get. Chevy (118). It's not out of the ordinary for us to stumble upon it in the yard, and we also network with other yards. 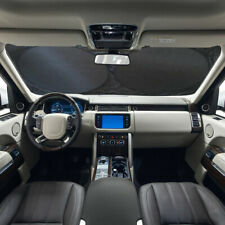 Product size: back sunshade 50 100cm; front window sunshade 36 44cm; rear window sunshade 36 44cm. Applicable car type: universal. Used both in front window and rear window. ----4x Side Visor of Car Window. Wheelskins Leather Steering. Wheelskins are the best way to. Wheelskins Color Chart. A steering wheel cover for your Heavy Duty Truck. This is a CUSTOM FIT Steering Wheel Cover.if you see YOUR VEHICLE year, make and model in the compatibility, this cover is the perfect size for your vehicle! 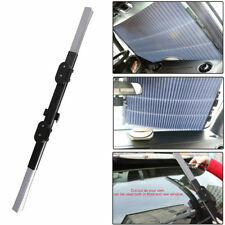 Front sun shade size: 160 70cm Gross weight: 0.4kg. 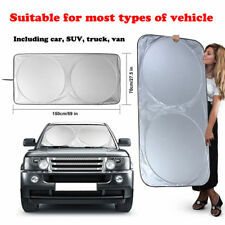 ----1x Windshield sun shade. Car steering Cover. Car Seat Cover. Car Interior. Other Car Interior. Car Exterior. Car Gift Ideas. Model: CHEVY IMPALA. Side: Left. Part Grade Abbreviations. cc = Credit Card size units. C = Greater than 200k miles. B = Greater than 60k miles and less than or equal to 200k miles but greater than 15k miles per year. 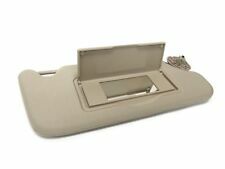 This Sun Visor was removed from a 2008 Chevy Impala in good working condition. This Visor is for the Passenger Side-Right Side of the Vehicle. It has a Non-Lighted Covered Mirror and is made out of a Tan Cloth. Wheelskins Leather Steering. Wheelskins are the best way to. Wheelskins Color Chart. This fits the original wheel for your vehicle - you do not need to remove the original steering wheel cover (if there was one.). 2013 CHEVROLET IMPALA LTZ VIN: 2G1WC5E37D1191680. Any sign of tampering or attempt to disassemble or alter the part will void the warranty. proof/receipt of work is required! The warranty does not cover failure due to misuse, improper repairs or maintenance, installation, alteration or modifications. Up for sale is a NOS GM part. Unless it is stated otherwise, what you see is what you will get; nothing more and nothing less. 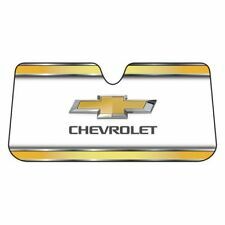 Elite style official Chevy Bowtie logo. You may also be interested in.